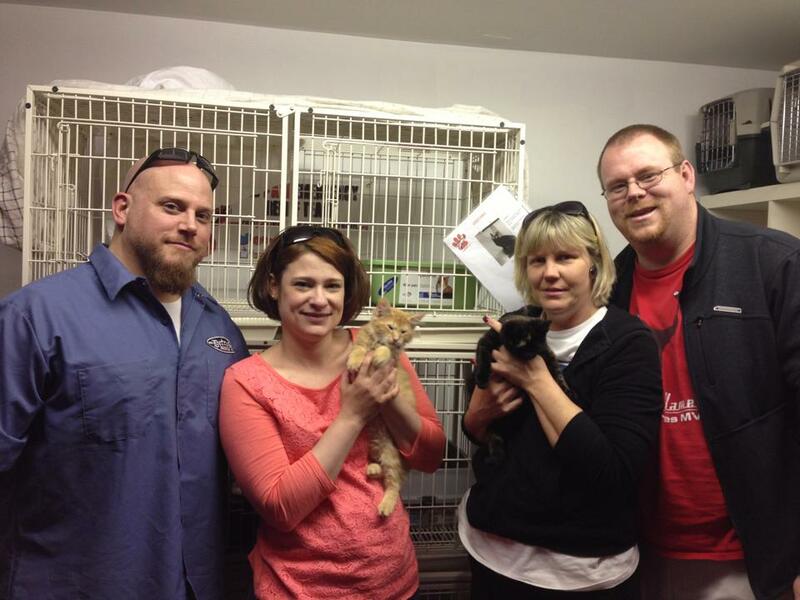 April 13: Rory and Elaine are on their way to their furever homes! Philadelphia’s Red Paw Emergency Relief Team is affiliated with their local Red Cross and provides 24/7 emergency shelter, transportation and veterinary care to animals displaced by fire or other disaster in their home. 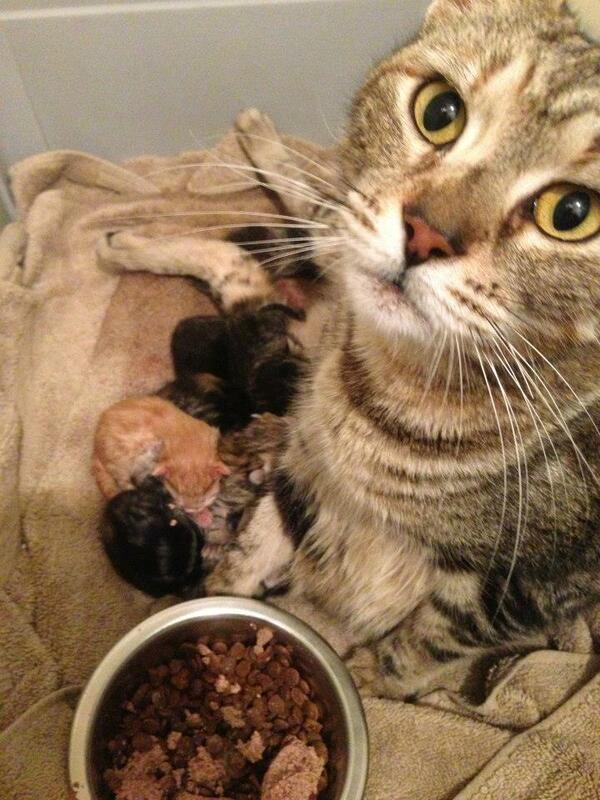 Tabitha was rescued from a devastating fire in January and her kittens were born a day later. The organization has been smitten with the babies, and said goodbye to two of them today, as Rory and Elaine were adopted and went to their forever homes. 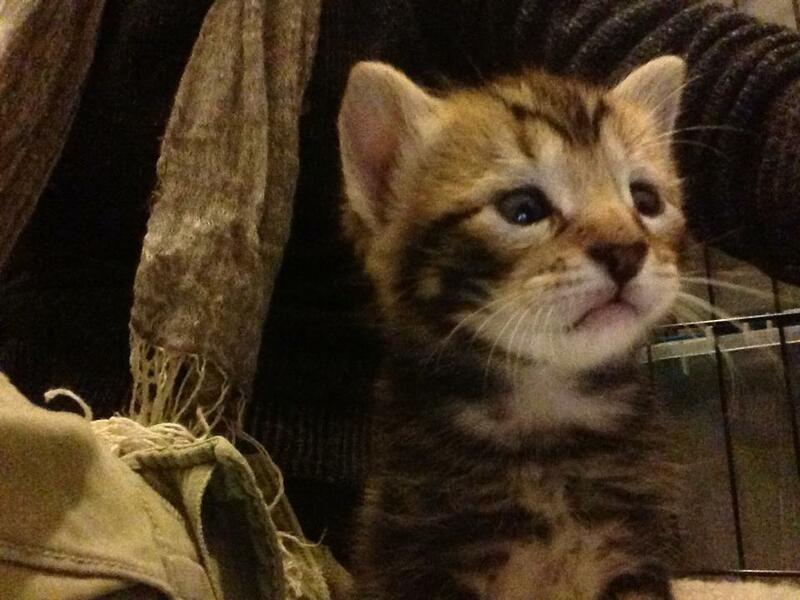 On Friday, January 11th, 2013, Tabitha, was in a fire in West Philadelphia! When we arrived on scene her owner told us she thought the kittens were “born last night” Their house was completely destroyed and we thought for sure we were going to find dead little kittens in the house, but our responder, risking her own safety while the ceiling was falling down around her, luckily found Tabitha and all the kittens still inside her belly, safe and sound! 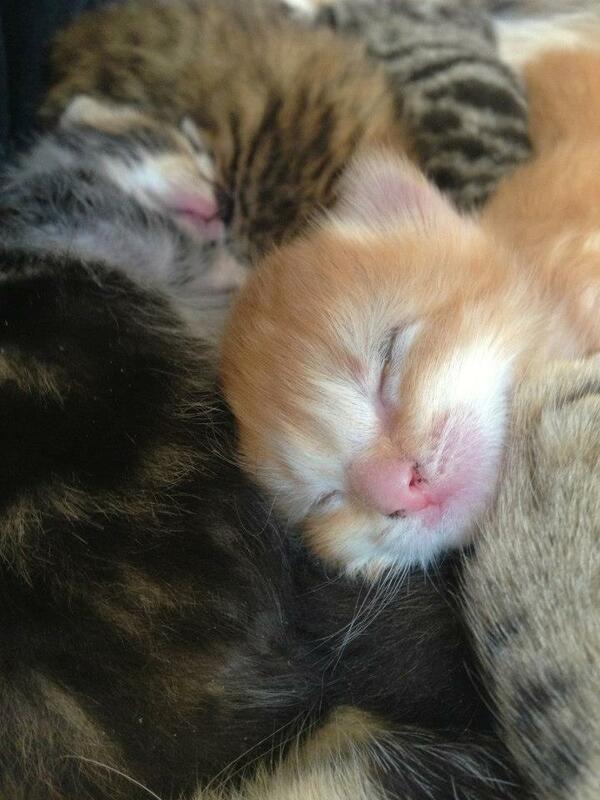 On Saturday, January 12th, 2013, six kittens were born! 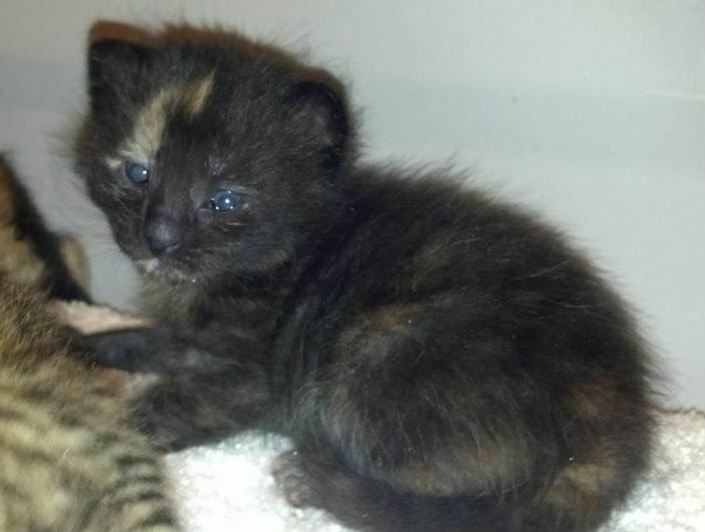 Had they been born a day earlier, we are pretty sure they would not have survived the fire! 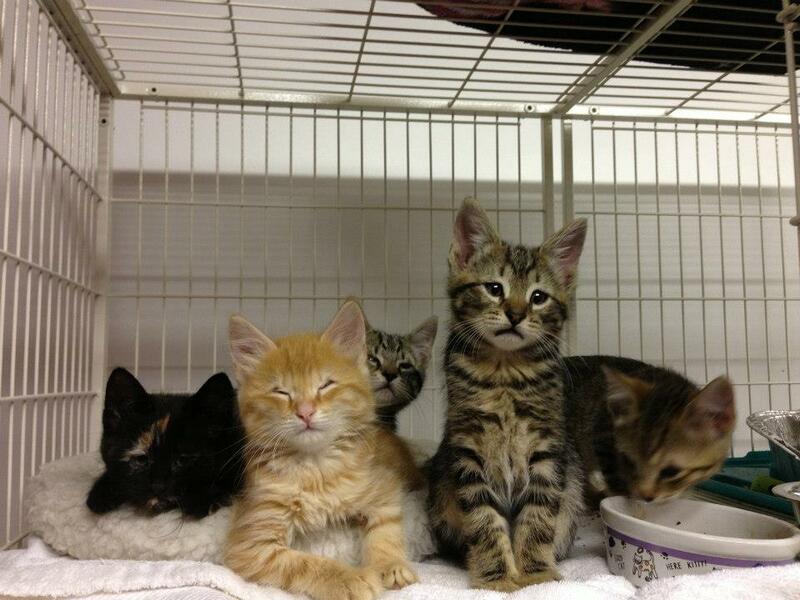 Here [in the video] is the journey of first born, Rory, and his siblings, from his first seconds of life until he went to his forever home on April 13th, 2013! 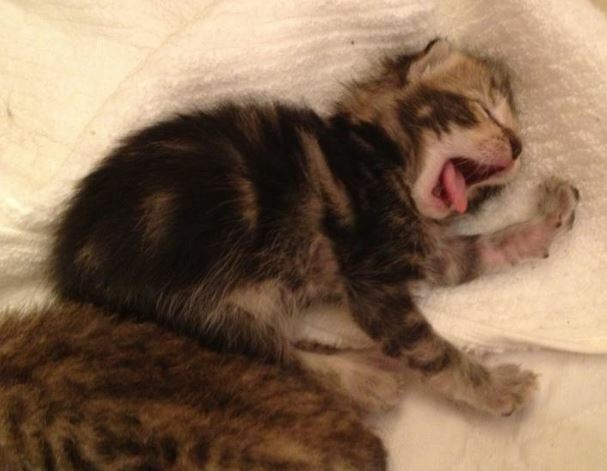 Red Paw uploaded a whopping 455 photos of the fire kittens, from birth through 2 1/2 months old in an album at Facebook. To view the entire album, click HERE. A few photos from the album … .